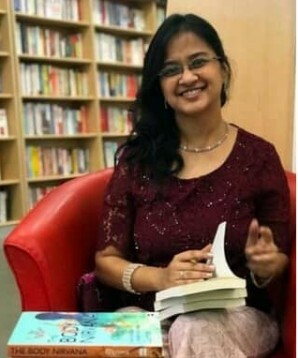 Garima Gupta, the Mind behind the Bestseller Books “The Body Nirvana” and "Birth of Sibling". Author of " The Body Nirvana ". Junior Research Fellowship by UGC-NET committee. Author of " Birth of Sibling ". Garima Gupta is a doting mother of two, full-time Author and Mind-Body Wellness Coach. A bachelors and masters degree holder in Psychology, she was also awarded a Junior Research Fellowship by UGC-NET committee. Furthermore, she secured admission through the Nehru Fellowship to Cambridge University, London for PhD on women traders in cross-cultural perspective. Moreover, she has been crowned with many international accreditations. She is of the strong view that everyone should have a personal hobby which they love doing and which electrifies them. She happens to be a classically trained singer and kathak dancer. She has a YouTube channel where she sings old Hindi songs for her family to enjoy. She has also made a video about how one's hobbies impact the health and give startling health benefits. Thus, singing and dancing are her way of distressing and keeping herself vivacious. 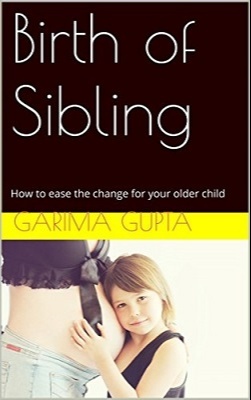 Garima’s first book “Birth of Sibling” is for the second- time parents. It emphasizes how the parents can meet the needs of their first child and keep him well - attuned and happy. It also edifies how the parents can maintain a happy and healthy relationship with the first child and its sibling and with each other along with how to diminish the sibling rivalry. 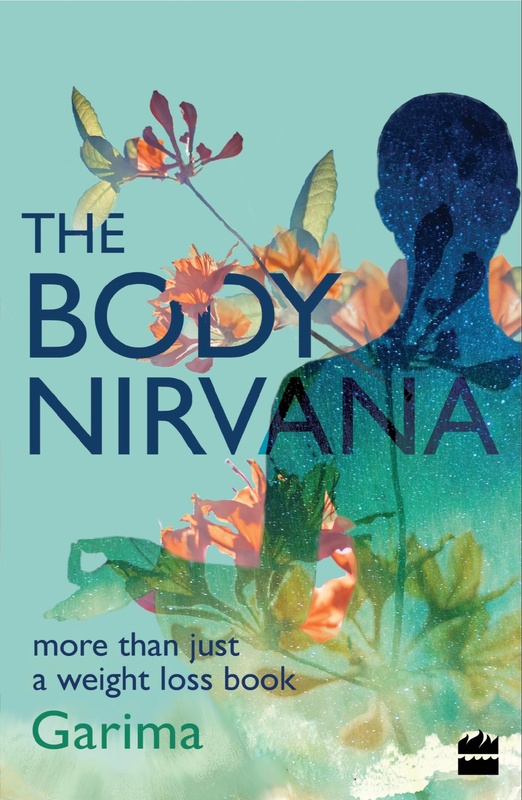 Garima’s second book “The Body Nirvana” is about the holistic health. It’s about the dangers of stress eating and the psychological aspect of weight loss. It’s not only a weight loss related book but about how one is laudable enough no matter what they weigh. Also, it vocalises that one has taken a wrong approach to losing weight. Your body weight, emotions, personality, fears, and needs create your physical health. This book is going to be everybody’s private therapist; it would be your helping hand while you are discovering the reasons for your gained weight. Therefore, making a few changes in your thoughts and in your daily schedule; you can reach the pinnacle of health, happiness, and energy. Her book about the weight loss has no diets and exercise plans. It’s about the mind- game related to the weight loss and how to win it. The more we know ourselves, go through our knotty feelings with a certain self-assurance, the more we amplify our happiness. Through this book, she wants to pass on a message to the lay people that your personal worth is more important than anything in this world. One should never gauge their self-worth based on their waistline. She says that health and beauty cannot be quantified in kilograms!!! She solicits every woman on this earth to be pleased with their abilities. Further, she says that be what you are and do what you can. She asks the entire woman out there to draw a boundary without any remorse for the kind of a person that they are and the way they look. She wants each and every woman to enjoy and celebrate her body and not to be mortified of it. Her message to every woman is “be happy with how you look and what you are”. It’s then that you would have a hale and hearty life. She wishes to immunize the teens against body-shaming and poor body image. She wishes to reach to the core of their struggle, wipe away the reasons for it and wants them to have the benefit of a lifetime of freedom from the surplus weight. As a result of her efforts in making people believe in themselves, she has attracted a lot of fans for life. We wish her a truckload of luck for her future books and also, ask her to keep all of us enthused with her inspirational books.